By accessing the Seogdk blog or using the services offered by Seogdk, you agree and acknowledge to be bound by these Terms of Service. If you do not agree to these terms, please do not access the site or use the services. Seogdk reserves the right to change these “Terms” at any time. We recommend that you periodically check this page for changes. Seogdk grants you a limited license to access the site and use the services in accordance with these terms, instructions, and guidelines posted on the site. Seogdk reserves the rights to terminate your license to use the site and services at any time and for any reason or in the future charge for commercial usage. You are solely responsible for your use of the site and services. Because Seogdk merely serves as a repository of information, user-posted content does not represent the advice, views, opinions or beliefs of Seogdk, and Seogdk makes no claim of accuracy of any user-posted material. Seogdk archives link to third-party websites. The linked websites’ content, business practices, and privacy policies are not under our control, and we’re not responsible for the content of any linked website or any link contained in a linked website. The inclusion of a link on the site or services does not imply any endorsement by or any affiliation with Seogdk. In accessing the site and services or following links to third-party websites you may be exposed to content that you consider offensive or inappropriate. You agree that your only recourse is to stop using the site and services. Seogdk provides access to portions of its site and services via RSS feeds and an API; for the purposes of these terms, such access constitutes use of the site and services. Seogdk asks that you use these features respectfully, as outlined in the documentation. Seogdk reserves the rights to change these features at any time and to disable access to the feeds and the API at any time for any reason. Seogdk, the Seogdk’s logo, and the Seogdk’s design are trademarks or trade dress of Seogdk, and may not be used without express written permission from Seogdk, other than for attribution. All other trademarks not owned by Seogdk that appear on this site are the property of their respective owners, who may or may not be affiliated with, connected to, or sponsored by Seogdk. Seogdk-originated content included on the site, such as text, graphics, logos, software and the compilation of all content on the site, is the property of Seogdk and its licensors and protected by India and international copyright laws. Except as set out in these terms, no reproduction of any Seogdk-originated content is permitted without written permission from Seogdk. It is Seogdk’s policy to respond to notices of alleged copyright infringement that comply with applicable intellectual property law (including the Digital Millennium Copyright Act or DMCA) and to terminate the accounts of repeat infringers. The information present on the website is given for educational and information purposes only. The authors shall not be responsible for the misuse of any information mentioned in the site. Use the tips given here AT YOUR OWN RISK. These tricks and tweaks are all tried and tested but the author shall NOT be responsible for any damage or harm occurring through these tips. 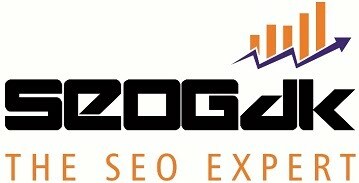 SEOGDK PROVIDES THE SITE AND SERVICES “AS IS” AND WITHOUT ANY WARRANTY OR CONDITION, EXPRESS, IMPLIED OR STATUTORY. SEOGDK SPECIFICALLY DISCLAIMS ANY IMPLIED WARRANTIES OF MERCHANTABILITY, FITNESS FOR A PARTICULAR PURPOSE, NON-INFRINGEMENT, INFORMATION ACCURACY, INTEGRATION, INTEROPERABILITY OR QUIET ENJOYMENT. Some states do not allow the disclaimer of implied warranties so the foregoing disclaimer may not apply to you. You understand and agree that you use the site and services at your own discretion and risk and that you will be solely responsible for any damages that arise from such use. UNDER NO CIRCUMSTANCES SHALL SEOGDK BE LIABLE FOR ANY DIRECT, INDIRECT, SPECIAL, INCIDENTAL, CONSEQUENTIAL OR PUNITIVE DAMAGES OF ANY KIND, OR ANY OTHER DAMAGES WHATSOEVER (HOWEVER ARISING, INCLUDING BY NEGLIGENCE), INCLUDING WITHOUT LIMITATION, DAMAGES RELATED TO USE, MISUSE, RELIANCE ON, INABILITY TO USE AND INTERRUPTION, SUSPENSION, OR TERMINATION OF THE SITE OR SERVICES, DAMAGES INCURRED THROUGH ANY LINKS PROVIDED ON THE SITE AND THE NONPERFORMANCE THEREOF AND DAMAGES RESULTING FROM LOSS OF USE, SALES, DATA, GOODWILL OR PROFITS, WHETHER OR NOT SEOGDK HAS BEEN ADVISED OF SUCH POSSIBILITY. YOUR ONLY RIGHT WITH RESPECT TO ANY DISSATISFACTION WITH THIS SITE OR SERVICES OR WITH SEOGDK SHALL BE TO TERMINATE USE OF THIS SITE AND SERVICES. Some states do not allow the exclusion of liability for incidental or consequential damages so the above exclusions may not apply to you. Seogdk and you are independent entities, and nothing in the terms, or via the use of the site or services, will create any partnership, joint venture, agency, franchise, sales representative, or employment relationship between Seogdk and you. These terms supersede any previous agreement and represent the entire agreement between Seogdk and you. These terms are governed by the laws of the state of Maharashtra without reference to conflict of laws principles. If any provision of the terms is adjudged to be illegal or unenforceable, the continuation in full force of the remainder of the terms will not be prejudiced, and the illegal or unenforceable provision of the terms shall be severed accordingly. Any notices must be sent to Seogdk in the Contact Us form.